The Berkeley Art Works will offer a second session of the sold out Introduction to Colored Pencil Painting taught by Teaching Artist Judith Becker. The workshop will be on Tuesday, January 28 from 5:30-8:30pm at the Berkeley Art Works, 116 North Queen Street in Martinsburg, WV. The class introduces beginners and those with some experience to the process of creating a painting with colored pencils. It explores the many effects possible with the pencils including mixing colors, blending for smoothness, making various textures plus much more. A variety of painting surfaces are explored and participants create several small painting using the techniques learned. Tuition for the three hour workshop is $45.00. Details and registration information is on the web at http://artworks.berkeleyartswv.org/workshops/. 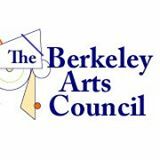 For more information email For more information email berkeleyartswv@gmail.com or call 304-620-7277. Judith Becker is an experienced artist with dual degrees in design and education. She has recently moved to the Eastern Panhandle, but previously taught a variety of classes in Garrett County, Maryland. Judith specializes in painting with colored pencils, pastels and watercolors and often mixes her media for unusual effects. Her subjects mostly are botanical s and scenes from her travels. Her popular classes cover many art techniques targeted for both the beginner and the more experienced painter.